For the eighth consecutive year the Pat Tillman Veterans Center and Arizona State University earned the designation of Military Friendly School from Victory Media —publisher of G.I. Jobs, STEM Jobs SM, and Military Spouse. Some of the Pat Tillman Veterans Center student success initiatives include the use of outreach teams to engage veterans and facilitate their college transition and strong advocacy among key university units and with the Department of Veterans Affairs. Institutions earning the Military Friendly School designation were evaluated using both public data sources and responses from Victory Media’s proprietary survey. Ratings methodology, criteria, and weightings were determined by Victory Media with input from the Military Friendly Advisory Council of independent leaders in the higher-education and military-recruitment community. Final ratings were determined by combining the institution’s survey scores with the institution’s ability to meet thresholds for student retention, graduation, job placement, loan repayment, persistence (degree advancement or transfer) and loan default rates for all students and, specifically, for student veterans. More than 5,200 military-affiliated graduate and undergraduate students pursue their education at ASU. The university also conducts extensive research for the Department of Defense and has established multiple defense-related centers that explore global security challenges and potential solutions. 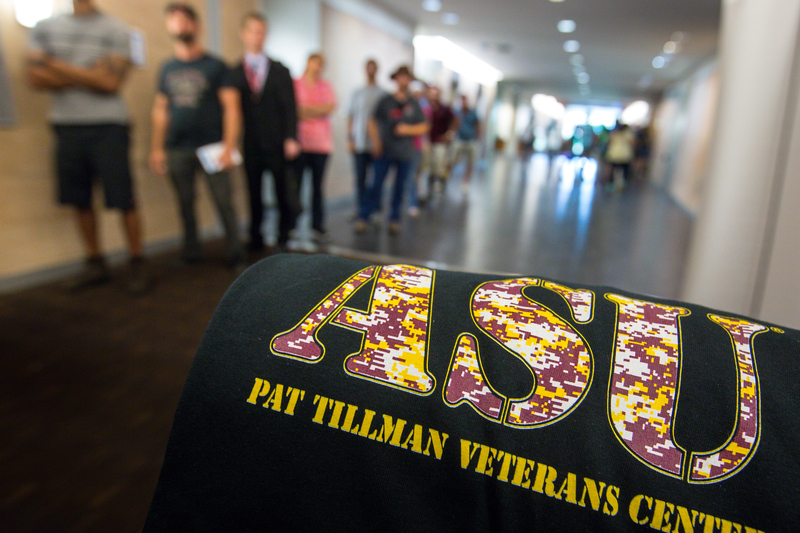 To learn more about the Pat Tillman Veterans Center, visit veterans.asu.edu. For more information about ASU’s military and veteran initiatives, go to military.asu.edu. On the afternoon of Election Day in America, hours before the final outcome of a heated presidential contest he called a “bloodletting” would be known, Henry Cisneros, politician turned businessman, was talking about bipartisanship and immigration reform. Cisneros said he has been doing just that as a board member of the Washington, D.C.-based Bipartisan Policy Center and co-chair of its Immigration Task Force along with former Secretary of State Condoleezza Rice and former governors Haley Barbour and Ed Rendell. He said the task force has been working for some time on a bipartisan immigration reform plan. Although he didn’t reveal the plan’s contents, he said it should be ready to unveil by mid-November. 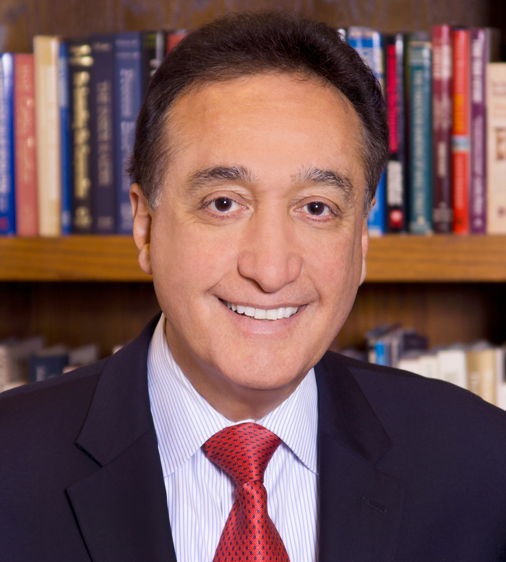 Cisneros will be in Tempe on Nov. 15 to deliver the 2016 Flinn Foundation Centennial Lecture presented by Barrett, the Honors College at Arizona State University. His talk, titled “Immigrants: An Essential Ingredient for a Strong America and Our Nation's Future”, is set for 7 p.m. in the Galvin Playhouse on the ASU Tempe campus. Cisneros, a Democrat, rose to national prominence when he was elected as mayor of San Antonio in 1981, becoming the first Hispanic-American mayor of a major U.S. city. During his four mayoral terms, he focused on rebuilding San Antonio’s economy by increasing tourism, attracting high-technology firms, massive infrastructure and downtown improvements, and creating jobs. The American Mayor named him one of the nation’s 15 best mayors, and City and State Magazine selected him as the “Outstanding Mayor” in the nation in 1986. In 1992, President Bill Clinton appointed Cisneros as secretary of the Department of Housing and Urban Development. In this post, Cisneros initiated the revitalization of public housing developments, including renovating more 250 public housing units and razing 43,000 vacant ones for reconstruction. After leaving HUD in 1997, Cisneros was president and chief operating officer of Univision Communications, the Spanish-language broadcasting company, and currently serves on its board of directors. Cisneros founded and is the executive chairman of CityView, an investment firm focused on urban real estate, in-city housing, and metropolitan infrastructure. In 2015, Cisneros became one of the new owners of New York-based public finance firm Siebert, Brandford, Shank & Co. LLC. His books include "Latinos and the Nation’s Future," "Interwoven Destinies," and "Urban Real Estate Investment: A New Era of Opportunity." Cisneros is a recipient of the Habitat for Humanity Visionary Award and is in the National Association of Homebuilders' "Builders Hall of Fame." He serves on the advisory boards of the Bill and Melinda Gates Foundation, the Broad Foundation and the National Hispanic University. He has a doctorate in public administration from George Washington University and served as the president of the National League of Cities. In a Q&A, Cisneros talked about the importance of immigrants in America, his vision for an immigration reform plan, the power of Latinos in America, and other issues. Question: You will be in Tempe next week to talk about immigration, the immigration reform debate and the effects of immigrants on our nation. Can you give more detail? Answer: We are an immigrant nation. It’s not just a phrase. We have been a nation of immigrants over many years, and the impact immigrants have had on our country is immeasurable and important in many ways. The growth of our economy, our movement into global markets, our ability to hire workers in many sectors are indicators of that. There have been waves of immigrants in our history, from Eastern Europe, Southern Europe, Asia, the Caribbean, Africa, and most recently from Latin America. Every wave of immigrants has contributed to the American fabric of economic growth, establishment of small business, and growth of our cities. The U.S. population is about 310 million. It is projected to grow to 400 million in the coming years. This growth, many of which will come through immigration, is highly important to our markets and critical to industries like home building, durable goods production, and car manufacturing. The ability of people to work, be paid fair wages and contribute to society in the form of taxes and social security, is paramount. We see some countries stagnating in population and their populations growing older with no younger people to replace them. Japan is an example of this. We will not have that problem because of our ability to bring in immigrants. As for immigration reform, we need something that is akin to a three-legged stool. First, border and entry security. This would include not just securing the border but strengthening ways to address security of people once they are here, including E-Verify. Second, legalizing undocumented people who are here now. Creating the means for them to work, come out of the shadows, contribute economically and earn their way to legalization. Third, developing a better process for legalization that eventually allows people to earn citizenship. As it is now, it can take more than 13 years to go through the legalization process. After the election we’ll see whether there will be ways to negotiate this, but I think it’s time to make some changes. Q: How do you see immigrant students shaping the future of the nation’s large public universities, such as ASU? A: It’s not an exaggeration to say they are the future. The young population of America going forward will have a large percentage of Latino migrants. They are motivated and energized. They will be a key population in our higher education system. We need to find a way to tap into that brainpower and support our institutions in educating them so they can contribute to the nation economically and socially. Q: Universities often hold themselves as socially progressive, but recently the cafeteria workers at Harvard went on strike to protest low wages. What is the responsibility of universities who employ low-paid staff, many of whom are immigrants? A: It’s not just universities but every part of our society that should do what it can to provide living wages. Businesses have to do this based on the products and services they sell and their ability to afford it. It’s a tightrope. There is no magic bullet or easy answer. Of course universities like Harvard should do their part to set a moral example, but it needs to be addressed on a case-by-case basis. Q: By many indicators, the surge in Latino voting this year is substantial. What’s next? How does the Latino community leverage that power? A: The Latino community is alert, engaged and participating in larger numbers than we have seen before. It only will continue to grow going forward. The Latino community has learned that we do have a voice and we will use that voice to continue focusing on important issues, organizing and voting. Latino progress will be one of the most important factors to secure our American future. Q: The housing crisis was at least partially blamed on banks’ eagerness to give mortgages to people who couldn’t afford them. After the crash, it became much more difficult for middle- and low-income people to obtain mortgages. Where are we now? Do you see the tightened standards as ultimately beneficial? A: In addition to banks, there were other factors including second mortgages and the sale of mortgages to secondary markets. There were retail operations engaging in predatory lending and buyers with insufficient income getting mortgages. We put in safeguards and hopefully they are enough. Some say the pendulum has swung too far and we make it too difficult to obtain home loans. But we also should keep in mind that historically there were several ways we have built wealth in this country, like the minimum wage that helped create a stable income, the GI Bill that helped veterans obtain degrees and earn a living, and the growth of home ownership where Americans could draw wealth out of the value of their homes.